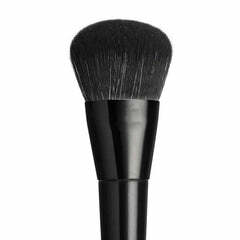 Are you a cruelty free makeup artist? If you have a passion for animals and the environment, and brushes that are cruelty free, then please get in touch if you would like to be listed on this page. Let's create a culture of artists who care! Sharron Leigh http://www.sharronleighmakeup.com/ Sharron provides a cruelty free service upon request. Ali is a professionally trained, mobile makeup artist servicing Newcastle, The Hunter Valley and other NSW regions. Ali uses a broad range of professional cosmetics including those specifically designed for photographic work to achieve your look, which will ensure your makeup lasts the distance and looks fabulous. Ali is a versatile makeup artist having worked on everything from high fashion magazine shoots with well known Australian models, beautiful brides, corporate shoots and high school formals. Her work was recently featured on Culture Magazine's website for the 2011 Winter Collections. She can cater to any occasion and provide you with the latest artistry techniques. Ali offers a cruelty free service upon request. Specialising in artistic makeup & bodypainting Elvis is a professional makeup artist whose skills include beauty, sfx & custom wig making. Having completed BA (Hons) Make-Up and Prosthetics for Performance she graduated from London College of Fashion in 2009 & currently works freelance in London & Sydney. She has worked on a wide spectrum of projects; from independent body art collaborations to running her own make up department in the 2012 Australian film Careless Love & is available for all genres of makeup work. Elvis is a passionate advocate of animal rights & since becoming vegan has been committed to building a 100% cruelty free kit – sharing her finds & recommendations with the world on her website. Visit her site to learn more and view her full portfolio. Cruelty free service available on request. Layla Stanton - "Bunny Be Free hair & makeup is passionate about two things: Creating the perfect look for your special day... and animals! Dames of Distinction is a vintage parlour, combining a lingerie boutique and beauty salon based in the Melbourne CBD. We focus on the finishing touches, those details which complete an overall vintage look. In the salon Margeaux (that's me!) tends to your grooming needs - styling your hair and makeup just like the starlets of the Golden Age: Monroe, Russell, Hepburn. Available for all kinds of events, transforming you into your Dame of choice, circa 1920-1960. Workshops are also held regularly to pass on tips and tricks so modern Dames are able to style themselves. All products used are cruelty free, some vegan options also available. We also offer nail art and vintage (half moon) manicures using vegan and cruelty free polishes. Rini Tee Makeup Artist (VIC Australia) - www.riniteemua.com Specialising in beauty, creative and sfx makeup as well as nail art, hair styling and photography. Cruelty Free with vegan options available.